A lamp base came in for repair as it was damaged when the owner moved home. 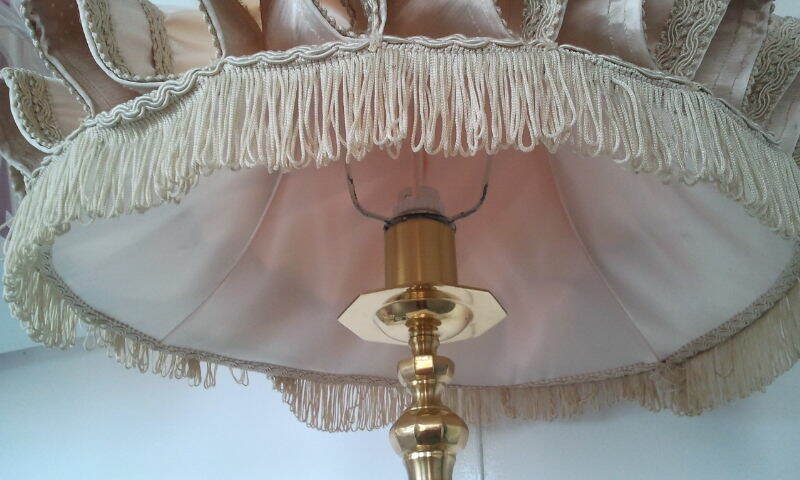 She brought the lampshade with the base. 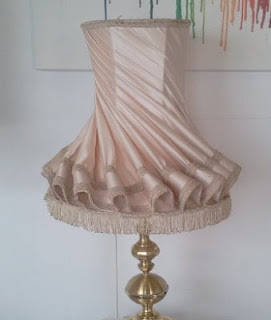 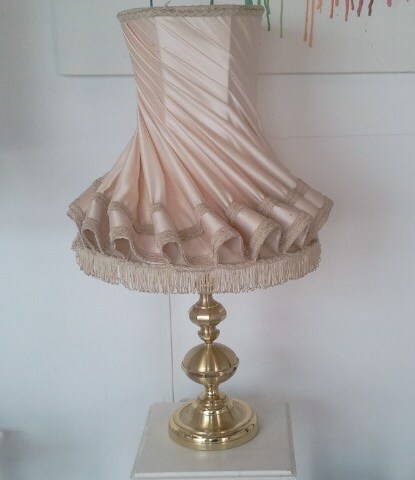 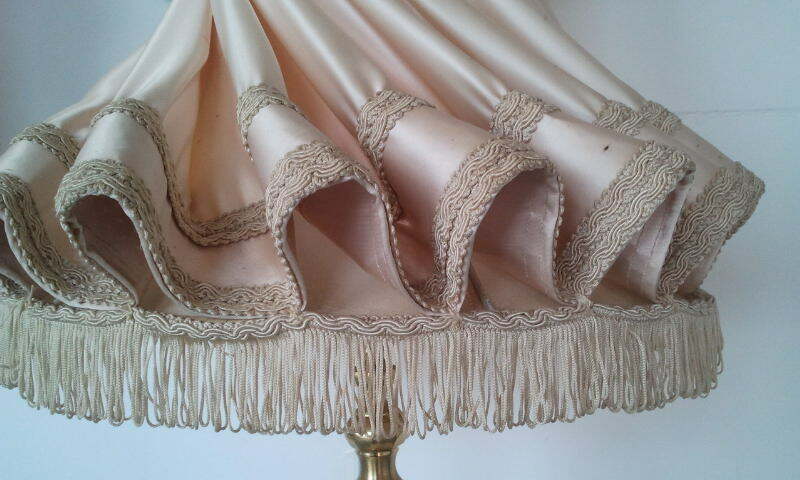 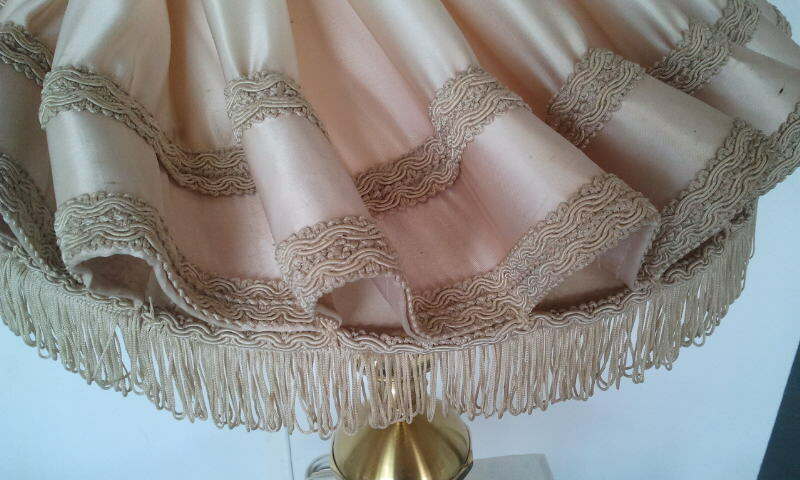 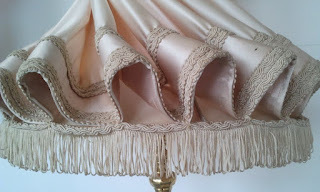 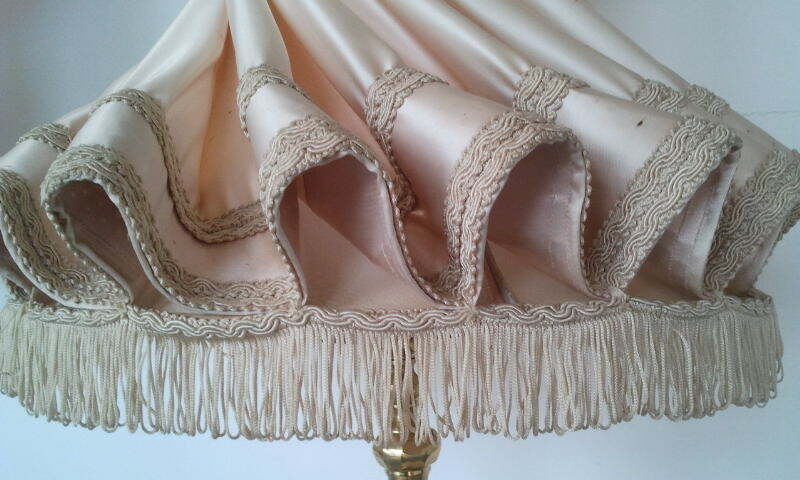 I could not resist taking a few pictures of the lampshade, as we dont see this style lampshade, any more. 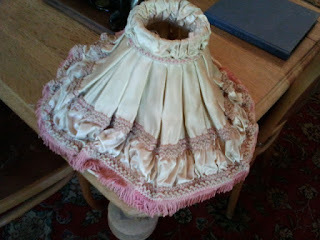 Even more so... - this one is kept in an excellent condition. changed the fitting so that it can be hanged.